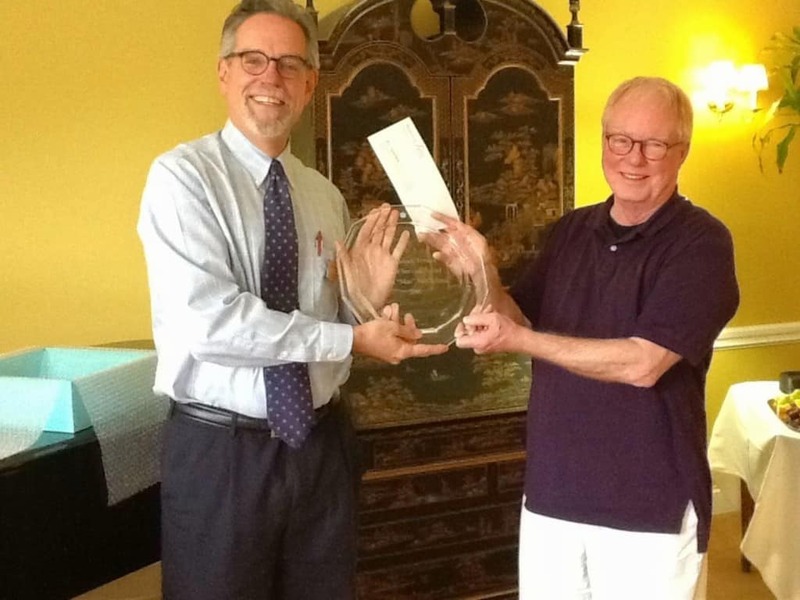 WOODSTOCK—On Monday, Sept. 26, Woodstock Terrace Assisted Living presented local resident James “Mac” McClelland with the annual Woodstock Terrace Assisted Living Senior Service award. The award recognizes an area senior for making a difference in the lives of others through volunteerism. For the past eight years, McClelland has served the patrons of the Norman Williams Public Library as a volunteer, helping in various capacities repairing and repurposing books and assisting with the annual literary festival, Bookstock. He said that it’s been a joyful process to meet people, talk about the types of books they like to read, spend time with the many volunteers and see the local youth grow and even become volunteers themselves. The Norman Williams Public Library also was recognized for its commitment to providing access to literature and information to people of all ages and supporting lifelong learning for all. The Norman Williams Public Library and McClelland were each awarded a $500 gift from Woodstock Terrace Assisted Living during the special ceremony held at Woodstock Terrace.